Healthiest Alternatives to Butter-Are There Better Choices out There? Home / Healthiest Alternatives to Butter-Are There Better Choices out There? The effect of butter on our health is something that has been debated for a long time, and is still continued to this day. The majority of butter itself consists of fats, and comes from the part of milk that is separated from the other proteins and carbohydrates found in it. Too much fat in our diets is bad no matter what, and considering the high fat percentage found in butter, it is generally something we want to use very sparingly if at all in our diets. Finding a substitute for butter would be ideal, however many people don’t want to give it up because of its great taste. There are other options out there that can still provide dishes with plenty of flavor, and at a reduced risk to your overall health. What Healthy Alternative Can I Use in Place of Butter? Extra virgin olive oil is a great source of healthy, flavorful fats which can be used in a variety of ways. 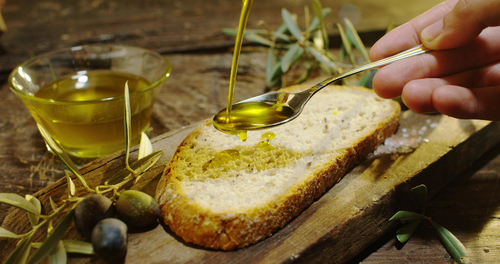 Extra virgin olive oil gets its name because of how it is pressed, and extra virgin olive oil is the highest quality olive oil you can get which is made from the first pressing of the olives. This oil is best used on bread, salads, and for general use as a topping. This variety is more expensive than your average olive oil, so you don’t want to waste it on cooking. Olive oil isn’t the best anyway for cooking due to its low boiling point, making it easy to burn. If you are someone that has to have something salty and savory on your toast in the morning, than nut butters are a great alternative to butter for you. Nut butters are loaded with healthy fats which contain important nutrients like Vitamin E in the case of almond butter. 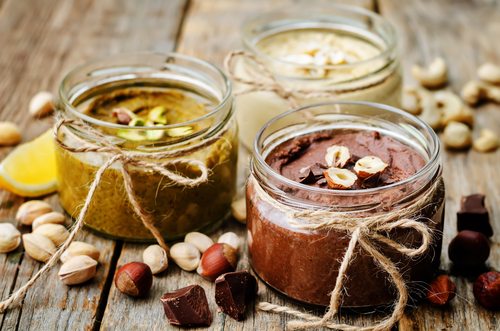 Nut butters are also a good source of protein as well as fat, and in most cases have around 8 grams of protein per serving. Not only will nut butters help to refuel you by providing these nutrients, it will help to fill you up and keep you full. If you are someone who has no problem digesting dairy products and is just looking for a healthy alternative to butter, yogurt is an excellent option. Yogurt is something that can be used in the place of butter and cream in baking recipes, which can really cut down the fat within the dishes. If you really want to get creative you can make your own yogurt toppings which can be used on bread or salads too. When picking a yogurt you can also choose a low fat or no fat variety which can still provide some flavor to your dishes without all the unhealthy side effects that come along with consumption of these fats. When it comes to healthy fats we usually don’t think of fruits, however the avocado is one of the best sources of healthy fats we have available through our diet. Avocados taste great, and although their green appearance may not make it seem so, they are very versatile and can be used in many dishes. Avocados can be used as a spread, can be used on eggs, or added to a smoothie for some healthy fats and some volume just to name a few examples. Avocados are also loaded with antioxidants including lycopene and beta-carotene. Make sure to eat the flesh closest to the skin as that is where the most antioxidants are concentrated. Arguably the biggest use many people have for butter is to grease the pan for cooking, as it does a great job of keeping our food from getting stuck to the pan. There are many spray on oils that you can use as an alternative, and they may be healthier than butter but still aren’t great for your health. A better option would be to use some sort of stock to lubricate the pan or pot. Chicken stocks and vegetables stocks are great alternatives to butter because they are low in calories, low in fat, and don’t have too much flavor which could overpower other elements of the dish. These stocks will keep your food moist and juicy; while providing some nutrients to the dish as well. Next time you want to sauté some mushrooms or spinach, try using some broth instead of butter.